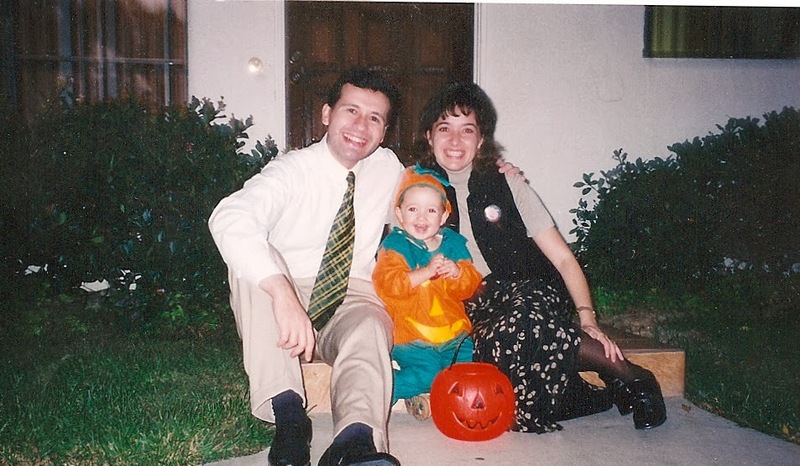 My parents and I a few years ago. When G-d assigned roles to newborns one 1995, he decided to bless me. A blessing that consisted of my entering the world through the vag of a strong, saintly woman and with half the genetic data of a strong, intelligent man. I was blessed with my parents. However; I do not feel this way all the time. It might be the usual fluorescent adolescent blues, but I tend to feel special in my particular shade of blue. And yet I think I want to major in Literature, perhaps minoring in Anthropology. In fact, I'm pretty sure -even if Grey's Anatomy has me lightly second-thinking it all. My parents are very different from what I am. Maybe, in 20 or 30 year's time, I will discover that this is not as true as I thought it to be. However, right now, it feels like while they are both genius, outstanding doctors, I'm a weird child who likes to fingerpaint on the walls of her bedroom. They are decided right-wing and I'm an avowed feminist who likes to read Eric Hobsbawm. I don't believe in modesty or at shying away from showcasing your body, and I generally dress in at least four different colours at the same time. And I want to study Literature. You know, that's the major that gets tons of bullying on Tumblr and Twitter. It's hard for me, because at times I feel that my parents slow down my race. For example, they don't know that I write a blog. Therefore, in the VERY HYPOTHETICAL case that I had the talent of Tavi Gevinson, would I be able to do all that she has done? Without their support? Thankfully, it's been over a year since I gave up on trying to get their approval. Like most good first-borns, I seriously didn't want them to think ill of me. Now I'm more aware that a parent's love doesn't work like that, however, the dregs of this type of thought process remain. I'm 18. I've mentioned on this blog how I feel the pressure of time against me. Because I want to write! And live off my writing! Write something great! Yet SE Hinton wrote The Outsiders at 16, Pablo Neruda wrote his most famous poem when he was my age, Tavi was famous by the age of 14, and just look at that Lorde! Am I running out of time? So should I be resentful of my parents for dragging me down? Because I do not dare to be the full-fledged bohème and artist that I could be for fear of hurting their more conservative spirits? Answer: No. Because I was blessed with them. One step at a time, and I'm sure I'll get wherever I want to. I trust that if I work hard and am essentially a good person, I will get where I want to. About the rest; my parents will have to understand me, and I will have to understand them.